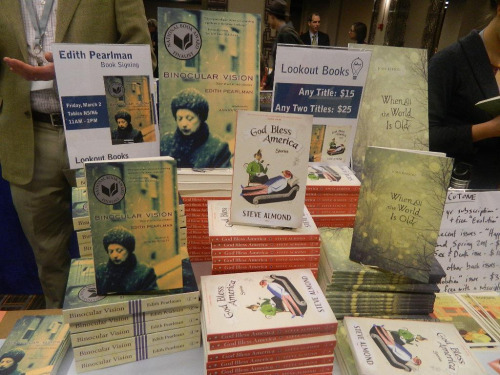 We’re back from a fantastic week in Minneapolis for the Association of Writers & Writing Programs annual conference. 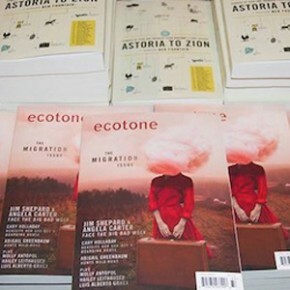 Thanks to everyone who took our books home with you and subscribed to Ecotone. We especially enjoyed meeting readers at our Thursday evening mingle and talking with you during the panel discussions throughout the conference. 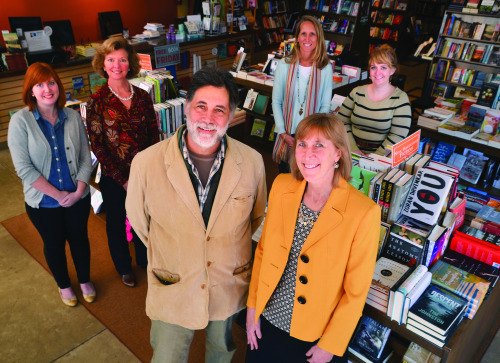 Now that all 12,000+ of us have dispersed, we’re excited to continue the conversations virtually, and the Literary Hub, launched April 8, is the perfect gathering place. The featured daily content includes interviews with authors and cover designers, among others; and this week Ecotone 15 contributor Megan Mayhew Bergman and Musings editor Mary Laura Philpott discuss Southerners with a dark(ish) hearts, work ethic, and the fertile ground for storytelling between history and literature.